Image Credit: Pastor Miles McPherson. Used by Permission. 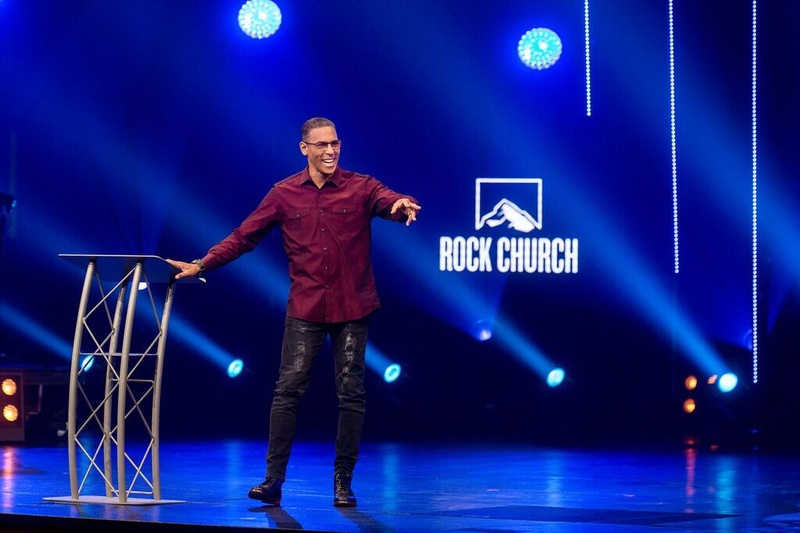 Former NFL Player turned Mega Church Pastor, Miles McPherson, knows a few things about the power of diversity. His multicultural church in San Diego, California, boasts thousands of members from distinct ethnic backgrounds. McPherson’s latest book, “The Third Option: Hope for a Racially Divided Nation,” delves into deep zones of discomfort, allowing readers to identify their own personal biases and blind spots as it pertains to racism. I caught up with him as he shared some key insights on this book. 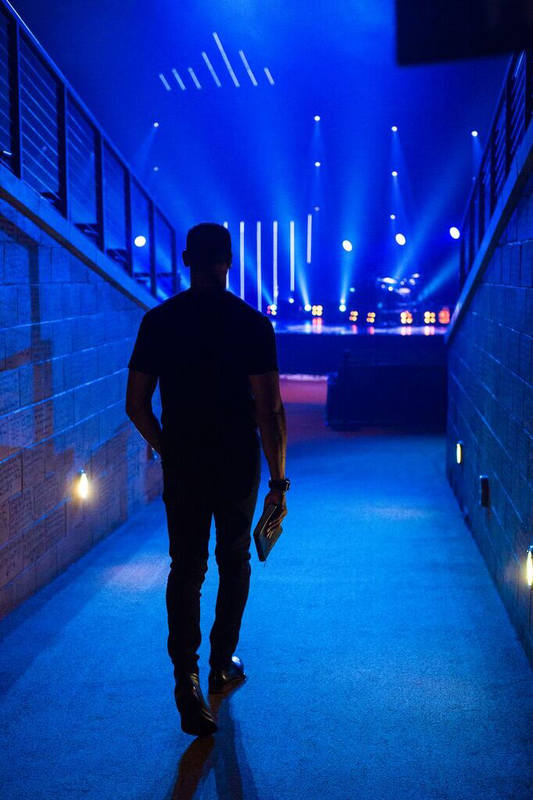 As a former NFL player, pastor and multi-racial man, I’ve always had a heart for racial reconciliation. I grew up in a racially segregated neighborhood in Long Island, New York; played football for the San Diego Chargers on a racially diverse team; and founded and now pastor a “skittles church,” one of the most diverse congregations in America. 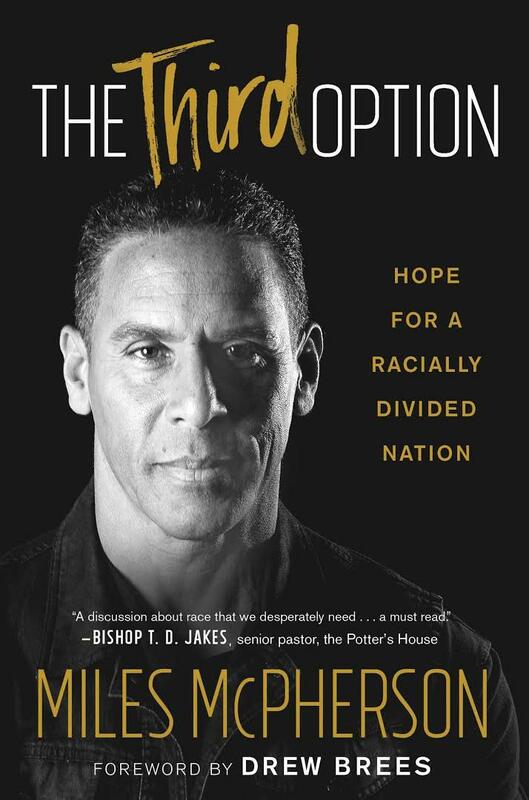 “The Third Option: Hope for a Racially Divided Nation,” is a culmination of my life experiences, coupled with what God has revealed to me about the choices we must make to honor and love those who don’t look like us. In today’s divisive environment, unity can only emerge from every individual’s decision to reject Culture’s “us versus them” mentality and choose the Third Option: honor. What is ‘The Third Option’ and how do we choose it? The Third Option is based on a simple premise: honoring the priceless value of God’s image in every person we meet. Honor is a logical extension of God’s commandment to love our neighbor. This principle applies to everyone equally, but is particularly important in our nation and at this juncture in time, as applied to our treatment of those who are of a different ethnicity, or skin color than us. Sadly, culture has divided us by beckoning us to adopt an “us versus them” mentality. Culture sets up a false dichotomy that pits Black versus White, police officer versus communities of color–even “racist” versus “woke” (urban slang for being alert to racial injustice in society). This division is evidenced by the fact that Sunday mornings are still the most segregated time of the week, with Blacks, Whites, Latinos, Asians and all other racial and ethnic groups worshipping the same God at the same time, separately. All division stems from culture’s lie that in order for me to “win,” someone on the other side of an issue must “lose.” When we buy into that lie, we choose sides and create an “us versus them” scenario in our minds. The Third Option urges us to reject Culture’s division and embrace honor instead. When we embrace honor, we’ll be well positioned to lead our nation towards God’s ideal: racial unity. Why do you think our nation is facing racial tension and cultural division? What’s really behind it? Culture has deluded us into believing that there are only two options: either you’re racist, which some are, or you’re not, which most would claim. In reality, we are all prone to racial biases rooted in the cultural influences we’ve been exposed to–some that are within, and others that are beyond our control. Because of these biases, you can be racially offensive and not be a racist. “The Third Option” gives us the freedom to reject culture’s false dichotomy, and helps make readers aware of their biases so that they can humbly receive God’s grace and ask for His help in learning how to honor and love their neighbors of different colors, and ethnicities. How do you come to terms with admitting moments of racial offense, or flat out racism? When I encounter moments of racial offense, I resist the temptation to react, and do the following: 1) pray for my own heart to be guarded against the lies that are embedded in their racially offensive words and actions, 2) seek to understand why they are acting in a racially offensive manner and 3) choose to honor them, in spite of their actions and words. If someone says something that comes across as unintentionally racist, I can also leverage the opportunity God has given me to graciously explain how their words have impacted me. Doing so offers an opportunity for the offender to learn and ask for forgiveness, and for the offended to educate and extend forgiveness, enabling both sides to move beyond the offense and honor one another better. The best way to become “culturally sensitive” is to choose to honor everyone, equally, regardless of their skin color. By asking and giving them opportunities to self-disclose their stories, part of which is how the color of their skin impacts their blessings and burdens in life, you will naturally become more honoring. Taking the other steps listed in the book–identifying your racial blind spots, spending time in a neighborhood in which you’re the minority and extending your God-given privileges to those in your racial out-group, amongst others–will also help you develop a natural sensitivity that stems from loving your neighbor. Because of these biases, you can be racially offensive and not be a racist. “The Third Option” isn’t about learning how to avoid being racist; it’s about learning to honor the priceless value of God’s image in everyone you meet. When we learn to value those who don’t look like us as highly as those who do, we’ll naturally become more “culturally sensitive” in an authentic way. How does one identify their own biases? In the book, I talk about “racial blind spots,” and identify nine of them that we all commonly fall prey to. Blind spots are a problem because they prevent us from seeing where we are biased, and since we’re blind to them, we’re not even aware that they exist. We can identify our own biases by humbling ourselves enough to ask friends of a different color to be honest with us about things we may not be aware that we’re doing. Christians are additionally encouraged to ask God to help expose the blind spots in their hearts. One thing we all naturally do is develop in-group and out-group biases. In-groups are those who share your culture, religion, ethnic identity, etc. You feel comfortable around your in-group, and extend graces to them that you’re not even aware of; graces that you withhold from your out-group (those who aren’t in your in-group). When we become aware of how we treat our out-group differently than our in-group, we can consciously make an effort to extend the privileges we naturally give to our in-group, to those in our out-group. Doing this is a first step towards eliminating the distinction between how you treat the two groups differently, and removing biased words, attitudes and actions from your life. How can the church play a role in eliminating racism? The Body of Christ is ground zero for any hope of racial reconciliation in America. Jesus didn’t suggest, but rather commanded us, as Christ followers, to love and honor the priceless value of His image in everyone we meet. Therefore, it is the church’s prerogative to taking a leading role in eliminating racism in our country. The Body of Christ is ground zero for any hope of racial reconciliation in America. The fact that Sunday mornings are still the most segregated time of each week indicates that we have a long way to go. Fortunately, Christians have full access to God’s grace and are therefore empowered to model racial and ethnic harmony when we choose to make it a priority. I outline specific ways that all Christians can do so–both individually and as a church body-in “The Third Option.” For that reason, I suggest that everyone, especially Christians, internalize “The Third Option” for themselves. What are some ways people can get more involved and help prioritize racial reconciliation? Ending racism starts a decision in the heart of each person, so my first piece of advice is to focus on your heart and intentions, before looking to others to change. There are practical steps I’ve listed in the book to help you prioritize racial reconciliation in your own spheres of influence, such as attending a church of a different ethnic makeup, taking a “field trip” to a neighborhood in which you are the minority to understand what others experience and becoming aware of how cultural influences shape your perception of certain ethnic groups. Taking these steps will help you act on your intention to be more loving and honorable towards those of a different race or ethnicity. However, the most important thing you must focus on is aligning your heart with God’s commandment to recognize and value His image in others–especially those who don’t look like you. From a humble and submissive heart. “The Third Option: Hope for a Racially Divided Nation” will be released on September 11, 2018. It is now available for pre-order on Amazon.